The tender process to undertake the Inter City Hotel expansion in Belmont was incredibly competitive. PACT was ultimately selected, handing our construction company its first hotel development. For Jason Kunkler, General Manager of PACT Construction, PACT was the ideal candidate. “Our project management expertise, cost effective build processes and ability to achieve such a high quality residential finish within a fairly tight program and budget were certainly key factors that helped PACT win the tender,” he explained. 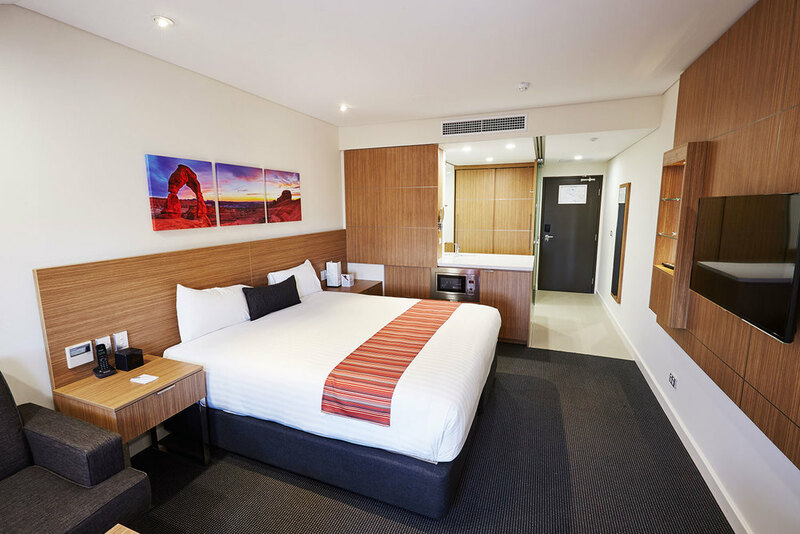 The Intercity Hotel extension is a three-level, 62-unit development within the existing Intercity Hotel complex located on Great Eastern Highway, Belmont. The ground floor consists of car park space and several units, with the remaining units located on level one and two. The structure incorporates a mix of traditional formwork for suspended slabs and columns and a load-bearing AFS internal wall system. The façade is an aesthetic combination of face brickwork, render and cladding.